Almost a week into Thing-a-Day and I’m not out of steam yet! I’m glad to have made it this far without choking and giving up. I have a few more “things” actually planned for the rest of the month, but I don’t have enough of them to cover every day, so I’ll end up winging it. Who knows where that’ll take me! Oddly, I found this to be a deeper introspective exercise than I thought I would get from sticking a collection of magazine cutouts to a cardboard rectangle. For almost two years now, I’ve been dedicated (to varying degrees, depending on the day) with a fantastic weight loss and healthy lifestyle website, Sparkpeople.com, which I cannot recommend highly enough. 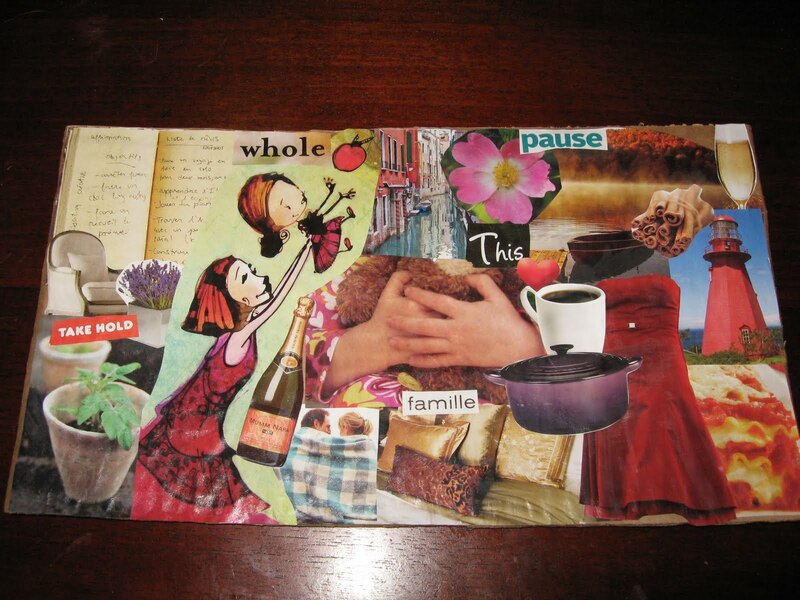 One of the many goal-setting tasks they ask you to do is set up a “vision collage”. Put up motivators for yourself, like photos of the beaches you want to lie on in your bikini, etc. Well, I never did that, because the visualization stuff always seemed very fake to me, and I had a hard time taking it seriously. But in the interest of creativity and open-mindedness, this collage is a picture of who I am and want to be. I think it says a lot about me, and it’s also giving me a lot to think about. This entry was posted in Uncategorized on February 7, 2011 by antijen.